Lean logistics are commonly used in many different industries today. They are based on the original concept of lean manufacturing, which got its beginning in the Japanese manufacturing industry. In 1988, John Krafcik coined the term as a part of his master's thesis at MIT. While there are times when Lean and Lean logistics are terms used interchangeably, that is not always the case. Logistics is a detailed implementation and/or organization of an operation that is complex in nature. So, rather than being a generic lean strategy, which can be almost anything that is done to eliminate waste, lean logistics are going to refer to more complex tasks. This could be a manufacturing process, warehousing, shipping, or any number of other things. 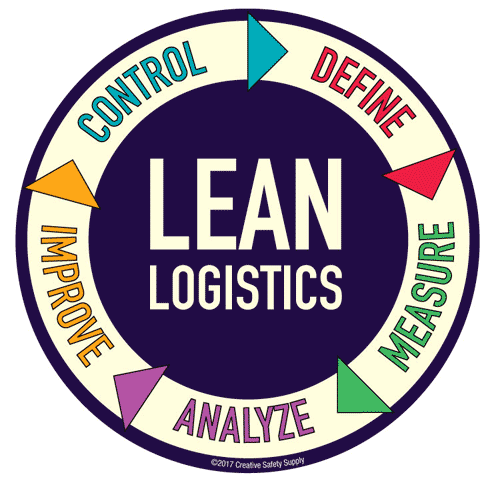 The concepts behind lean logistics are used in many ways across many different industries. 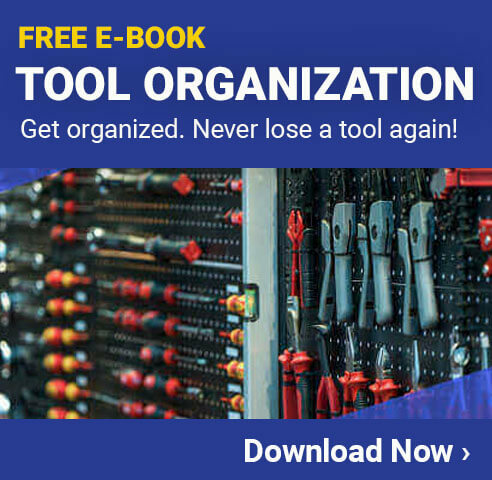 When done properly, they will help to eliminate waste, improve safety, and increase the bottom line of the company that is following lean logistic principals. Lean logistics can be helpful in reducing or eliminating waste in just about any environment imaginable. The concepts are broad enough to be able to be modified or adapted to fit all sorts of industries. The following are some of the different types of companies that take advantage of lean logistics. Manufacturing - The manufacturing industry is where lean and lean logistics got its start. This is still, by far, the most popular industry where lean strategies are used. Office Jobs - Office environments can benefit greatly from lean methodologies. 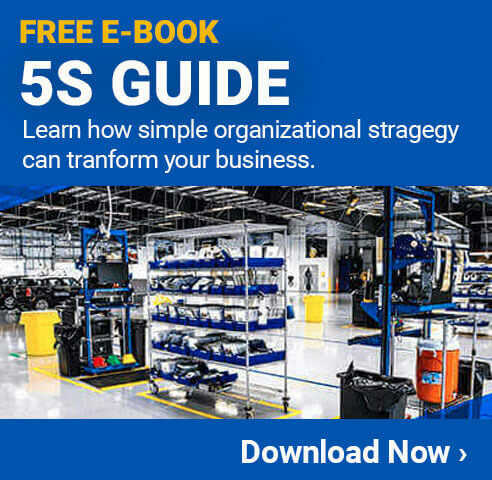 There are many informational resources on how to implement lean into almost any office environment. Auto Mechanics - Auto mechanics and garages often have a significant amount of waste, which can make them quite inefficient. Harnessing lean logistics can cut down on the waste significantly. Product Design - This is one industry that many people overlook when it comes to lean concepts, but it too can benefit from the smart processes. Hospitals - Hospitals are adopting lean logistics at a very fast rate due to the fact that reducing mistakes can literally help save lives. In addition, one of the ways to reduce waste is to keep things clean, which is of utmost importance in a hospital. Each of these types of work have proven examples of how lean can benefit them. When companies are looking to begin using lean logistics, they can turn to existing examples of where it has been beneficial and learn from them to help make the implementation easier. Overproduction - Producing more of something than is needed. Even if the products will eventually be sold, overproducing introduces additional expenses for storing, and additional risk of price or demand fluctuations. Waiting - When products have to sit and wait in mid-production for the next step to complete. This could be caused by a bottleneck in the production line. Inappropriate Processing - Using machinery or processes that are more complex or costly than is strictly needed to get the job done efficiently. Unnecessary Motion - Having processes that include unnecessary movement, such as a person bringing parts to a new location one at a time. Defects or Errors - When a product is damaged or otherwise defective during the manufacturing process. It will either need to be scrapped, or extra time and effort will need to be put in to fixing it. When making changes to help reduce waste or increase efficiency, it is important to follow standard processes. These processes will need to identify the current status, make the desired improvements, measure and analyze the results, and see if they were effective. The following image can be a useful reminder of the steps that need to be taken whenever making changes using lean logistics. Inventory - Companies following lean logistic strategies need to keep inventory at a minimum at all times. Having just enough to meet customer demands will reduce excess expenses related to storing the items, as well as the risk of them getting damaged. Warehousing - Warehousing products is always wasteful, even if it is sometimes unavoidable. A warehouse is typically an extra stop in the lean supply chain, which introduces increased costs and risks to the manufacturing and sales process. Trucks - Whenever a product is loaded on a truck, it is creating motion, which is a form of waste. Minimizing the number of trucks a product has to go on will help to reduce this excess motion and streamline the transportation process. Travel - The time the products are 'on the road' is another form of waste that should be minimized. Some travel time is required, but whenever it can be reduced, it should be. Combining multiple products into single shipments can also help to reduce waste. People - There are many people involved in the packing, loading, and shipping process. When using a lean supply chain, some of these people can be reallocated to more productive tasks that don't produce waste. Lean Six Sigma is a very popular methodology that uses the concepts of lean logistics and six sigma together to improve performance. Using a systematic approach, companies are able to identify and eliminate waste in many ways. Perhaps most commonly, the companies work to reduce variation in how things are produced. This is done by identifying best practices and taking steps to ensure they are followed at all times. In many cases, companies will have things done differently on each shift, or even by each employee. This will result in a significant amount of wasted time and effort. Rather than allowing this to continue, employers can benefit from taking the time necessary to identify the best possible way to complete a task, and then require that everyone do it the same way. In addition to reducing variation and increasing efficiency, it will provide the company with many other benefits. When things are done uniformly, there is less risk of accident or injury. It also helps to increase the predictability of a process, which is important for planning. When implementing lean logistics, it is important to understand the lean principles that will help guide a company through the process. These principals will need to be understood and followed at every stage of manufacturing in order to eliminate waste and run efficiently. Determine What Creates Value - Knowing what customers want will help to determine what is valuable. If customers won't pay for it, it does not have value. Identify All Steps in the Process Chain - Breaking down the manufacturing process into individual steps is an important part of identifying waste and eliminating it. It can also be helpful in taking steps to improve the production process. 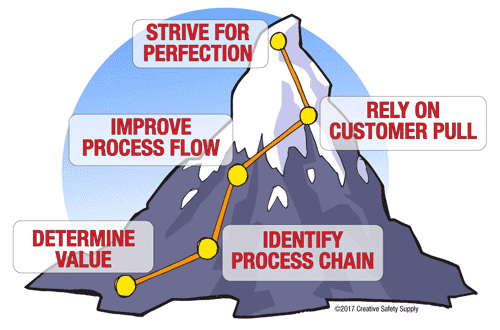 Improve Process Flow - Improving flow helps to ensure things are done in the right order, at the right time, and in the right way. By organizing the process flow properly, lean logistics can offer many benefits to any environment. Rely on Pull from Customers - Rather than creating products and hoping that customers will buy them, allow customers to 'pull' the products as they are needed. This reduces waste and risk in production. Strive for Perfection - Always be looking for ways that the process can be improved. This can be through improved machinery, improved policies, or any number of things. Constantly striving for perfection is an important part of lean logistics. These principles will help a company to not only properly implement lean logistics, but also to keep using it long into the future to get continuous improvements. Lean logistics should be looked at as a long-term investment into improving quality, reducing waste, and benefiting the bottom line for a company. Some efforts will yield immediate results, but many others may take years before the benefits are fully realized. By continuously evaluating how things are done throughout the process in question, and identifying ways to make improvements, a company can find many ways to create a workplace that is safer, more efficient, and better for everyone involved.